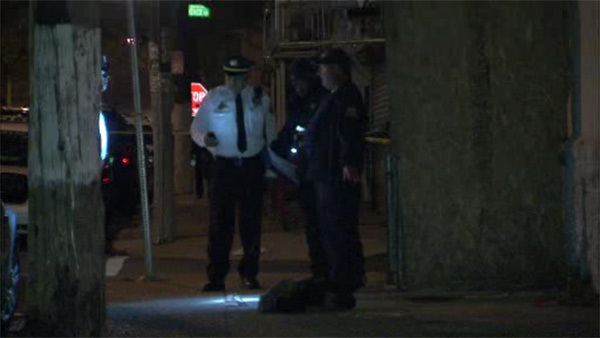 HUNTING PARK (WPVI) -- Police say a man was shot multiple times and killed in the Hunting Park section of Philadelphia. It happened around 9:30 Wednesday night at 4th and Cayuga streets. Police say a 22-year-old man was shot multiple times in the torso. He was taken to Temple University Hospital where he was pronounced dead upon arrival. No word on any suspects or a motive at this time.